Download DA Form 7687, also known as Special Provisions For K(S) Chilled Water Service. 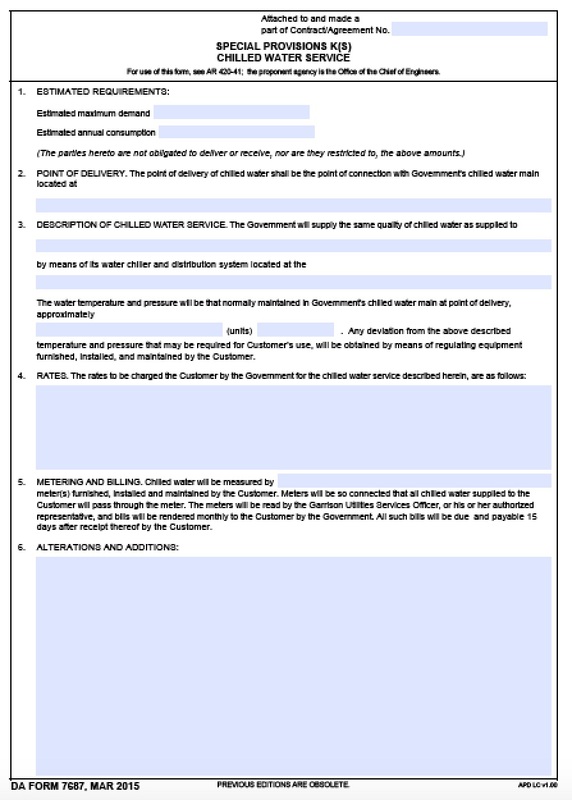 This form addresses how the Government will deliver chilled water when ordered by the customer. It will also address the estimated frequency of delivery and units delivered in order to budget stock of chilled water service for customers. Step 1 – At the top of the form, above the title, you will enter the Contract/Agreement number in the box immediately to the right of the “attachment” statement.